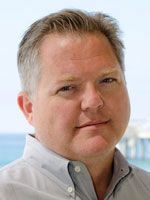 Robert Monroe is an award-winning journalist and senior science writer at UCSD's Scripps Institution of Oceanography. As a newspaper reporter, Monroe covered city government, the courts, business, science and technology, writing for the Inland Valley Daily Bulletin (Ontario, Calif.) and the Daily News of Los Angeles. His stories have won awards from the Society of Professional Journalists, the California Newspaper Publishers Association, and the Associated Press. In 2000, Monroe jointed the staff of Scripps Institution of Oceanography's Explorations magazine where he reports on scientific developments in oceanography and earth sciences. Ask most climate scientists about the reality of climate change and the vast majority will say their community moved past that question a long time ago. It’s old news. One of the most effective strategies to persuade industries to incorporate environmental stewardship into their business models has been to monetize the value of properly functioning natural systems. The mid-20th century is looked upon fondly around Scripps Institution of Oceanography as its golden era of exploration. Scripps took advantage of the close ties it established with the U.S. Navy during World War II to launch some of the most ambitious interrogations of the ocean ever taken in the 1950s and 1960s. We designed missions with the Navy and conducted many of our research cruises in repurposed ships given to us by the Navy. Amro Hamdoun is a fact machine when describing why marine biology research is so important to medicine. In the past 30 years, the phrase El Niño has become a household term or something close to it. An autumn doesn’t go by that we in the Scripps Communications Office don’t get at least a sprinkling of calls from reporters asking if the year will bring us an El Niño or its flipside, sibling La Niña. A factoid from the Food and Drug Administration has me wanting to overcook my Christmas turkey. Hurricane Sandy blasted the East Coast last month with a fearsome and deadly deluge. A Scripps Institution of Oceanography, UC San Diego-led team published research a few days later that continues the steady trickle of evidence that flooding like the kind Sandy brought is about to become more common. The oceans between Japan and the Horn of Africa include disputed territorial waters, pirate-infested regions where insurers refuse to cover Scripps Institution of Oceanography research vessels, and coastlines experiencing the world’s most tangible effects of climate change. These conditions put our nation’s security at risk. One of the lesser-known superlatives about San Diego is that it is home to the largest oceanographic research fleet in the United States. Hard times have pared back so many university-based fleets around the country that Scripps Institution of Oceanography, UC San Diego has what may be the last great fleet in America. Time is money and that is perhaps no more evident than in the world of shipping. FedEx founded a whole service industry niche on the concept of overnight delivery and the company name has become a verb but in terms of the dollar value of timeliness, the maxim is most profoundly at work in the world's ports. When I left a newspaper reporting job to join Scripps Institution of Oceanography 10 years ago, I was headed to a place where I knew a reporter could go and not feel like he'd just sold his soul to the devil. You see, journalists are taught from an early age that PR is inherently evil. In Cabo Pulmo, Mexico, the local fishermen are the guardians of the 12,000-acre marine reserve they fought to have established in 1995.